Design has become the key link between users and today’s complex and rapidly evolving digital experiences, and designers are starting to be included in strategic conversations about the products and services that enterprises ultimately deliver. This has led to companies building in-house digital/experience design teams at unprecedented rates, but many of them don’t understand how to get the most out of their investment. 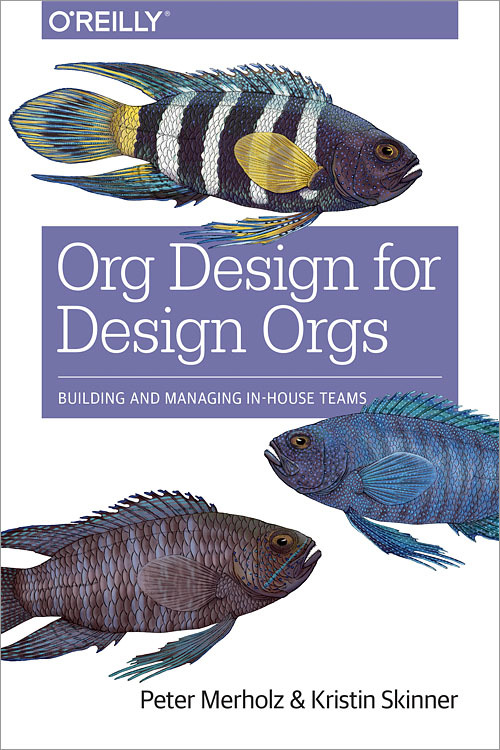 This practical guide provides guidelines for creating and leading design teams within your organization, and explores ways to use design as part of broader strategic planning. Peter Merholz is President and one of the co-founders of Adaptive Path. For more than six years, he has been instrumental in developing the company’s world-class consulting, training, and public events. Peter began his work at Adaptive Path with a focus on information architecture, and has since developed expertise in product strategy, user research, and practice development. Peter’s personal blog and his essays for Adaptive Path demonstrate his unique ability to foresee what’s coming next in information architecture, organizational change, and product strategy. He has the perhaps dubious distinction of coining the term “blog” in 1999, when blogging was still a nascent genre. Kristin Skinner is Managing Director at Adaptive Path where she established and leads the Design Program Management practice. She has shaped and lead over 40 of the firm’s most strategic and complex projects and programs, working directly with C­-suite stakeholders in the Fortune 50. She is also Head of Design Management at Capital One, an emerging function to address rapid growth in the design organization and deliver end­-to-­end customer experiences that improve people’s lives. Before joining Adaptive Path, Kristin worked as a Design Manager at Microsoft in their ground­-breaking Pioneer Studios. Kristin co-­programs and hosts the MX Conference, and has spoken at events such as UX Week, and MX15.